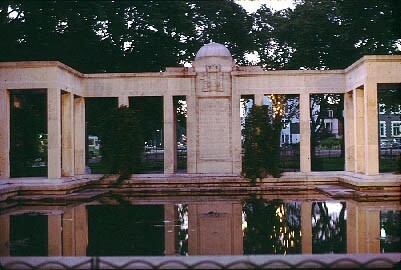 War memorial, Old Steine, 1970s. I like that place because it is very special. As a child living in Upper North Street. I always wondered why my Father would, on Remembrance Sunday, take me down to the War Memorial. We would stand on the other side of the Old Steine to North Street that we walked down. I now have found out that his brother, George William Kehlbachers name is on the other side of the War Memorial, so we crossed over to be close to his name at the service of remembrance. My uncle, Percy O Hay, is recorded amongst the dead there, and when I was young, I had an unusual way of showing my respect. Every time I got off the 46 trolley bus and walked through towards the crossing to Electricity House, I would lick my finger and run it through his name so that it always looked refreshed. It wasn’t until much later that I realised that I had another uncle, Charles T Grant, recorded on the same tablet. After that I always felt that in my ignorance I had unfortunately not given Charles equal respect with Percy. My late father too, would take me to the War Memorial in the Old Steine where his father, my grandfather, is recorded among the dead. Gunner John Taylor of the Royal Field Artillery, killed at Passchendaele in October 1917. He has no recorded grave, just an entry on the memorial walls of the Tyne Cot war cemetery in Belgium and here on the bronze plaques in Brighton. Artillery soldiers suffered fearsome losses in the Great War, as enemy spotters on higher ground could easily determine their positions by their gun muzzle flashes. He was 21 years old; my father was only two years old and my grandmother a widow at just eighteen.